The continuing emergence of offshore buyers is expected to drive Melbourne’s metropolitan market in 2016 following a 60 per cent increase in activity by this purchaser group last year. According to Colliers International figures, 2015 was the largest year on record for investment in Melbourne’s metropolitan market – with 22.5 per cent of properties being snapped up by offshore buyers. This is an increase of 60 per cent on the previous year. Just under $1.1 billion in sales were recorded in 2015, compared to $1.07 billion in 2014. “Metropolitan sales cracked the $1 billion mark for the second year in a row in 2015 with foreign buyers and private investors the most active,” Colliers International National Director of Investment Services Peter Bremner said. “After two years in a row with total sales volumes exceeding $1 billion each year, we expect 2016 to again match or exceed these levels as we continue to see local, national and international buyers aggressively competing in the Melbourne metro office market. Mr Bremner said A Grade or newer assets would be keenly sought after in the $40 million-plus price range, as institutions with specific metropolitan office market mandates sought to increase their quota of acquisitions. “The relative stability of the metropolitan office market – with its sound fundamentals, lower incentives and rising rents across most market regions – will ensure this relative safe haven will continue to be keenly sought after in a low interest rate and unstable equities market environment,” he said. Mr Bremner said the growing number of offshore buyers active in the metropolitan market had secured a range of major assets in 2015, including Kaifu Investment at Brandon Office Park ($83 million), Ouson Group at Greenwood Office Park ($66.5 million) and FG Asset Management at Box Hill ATO ($156 million). Foreign buyers were particularly active in the Outer East region, accounting for 11 out of the 19 sales in the area with the majority of these properties being bought for future re-development purposes. Another key theme seen in 2015 was the prevalence of the off-market deal, a trend Mr Bremner forecast would continue in the year to come. Thirty of the 49 transactions that took place in 2015 occurred off-market, with only 19 being sold through an on-market sales campaign. “A growing number of owners don’t necessarily want to put their properties on the market but are happy to accept strong off-market offers,” Mr Bremner said. 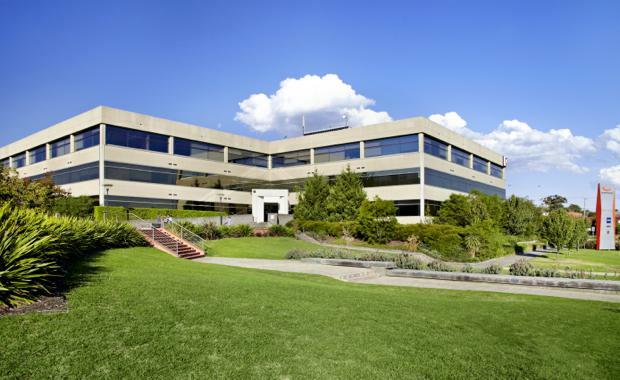 Pictured: Greenwood Office Park was sold for $66.5 million to Ouson Group.